When you think that the new Mahindra Stallio has been given a special and attractive look, you’re not actually wrong because the Stallio has been treated with a host of special features that underscores its impressive package. Both from the front side as well as from the rear, every part of the Mahindra Stallio looks very attractive. Designed with impressive and charismatic styles, the all new and stylish Mahindra Stallio is the epitome of a bike that oozes sportiness and aggression. 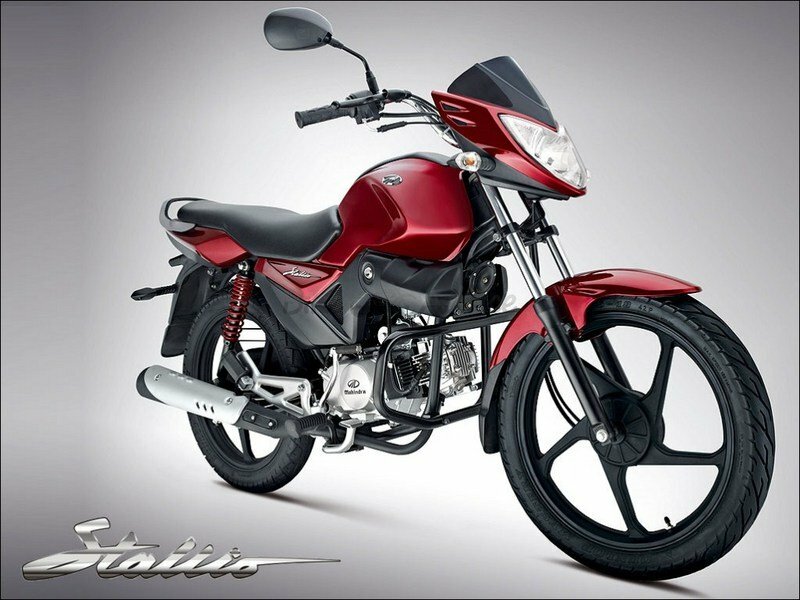 At the heart of the Stallio, is its new age, 110 cc air cooled engine, a power train that offers high performance and low fuel consumption. It’s a combination that every bike rider wants to hear. The Stallio also features a powerful braking system that ensures de-acceleration of speed when required. On top of that, you can feel the jerk-free ride with the support of the latest and advanced suspension system. The bike’s design is also something that shouldn’t be looked over, particularly the aerodynamic package that’s highlighted by eye-catching body graphics. In the terms of lighting, a halogen headlamp is placed in the front cowl to support clear vision at night. After every part of this Mahindra Stallio speaks up, you will find it incredibly hard to resist, which is exactly what Mahindra hopes. Find out more about the Mahindra Stallio after the jump.